At the end of a photography degree program, students should have a professional portfolio, marketing materials, and marketing skills to begin a job search. Photography degree graduates who have not specialized within their degree must now winnow their career choices and focus their job search. Are you looking for a career in fashion photography? Commercial photography? Portraiture? While generalist positions and opportunities are available, most openings have a specific focus and relevant corresponding demands. Photography degree program career offices can provide a list of opportunities in a photographer's desired specialty. Candidates should maximize their opportunity to attain the best job match, however, by looking to further resources. Online resources are abundant and include company websites, job sites like monster.com, professional websites, and Craigslist. Industry contacts can also direct candidates to openings that may be unadvertised. Potential employers look for a complete skill set when considering potential hires. This set includes a photography degree, specialized coursework relevant to the job, commitment to and interest in the task, an understanding of the business model, and good interpersonal skills. Candidates should be prepared to speak to this entire skill set and how they can meet their employer's needs in addition to photographic skills and creative ability. A professional portfolio is a critical self-marketing tool. One successful result of a photography degree program is the production of a portfolio. During photography degree courses, students will learn their craft through practice creating photographs. The best, most representative photographs should be chosen to create a professional portfolio. Included photographs should number two-dozen or fewer. While there is no established dimension for a portfolio, the included images should be easily viewed. Non-photographic work can also be included if it represents a candidate's artistic vision or skill. Photographs should be printed on fine art paper. The portfolio case should identify the photographer, perhaps by an artist statement or summary of professional experience and interests. Portfolios can be organized by indexing included photographs with titles and thumbnail photographs. Photographs chosen for inclusion might be titled and labeled with relevant technical information. Photographs can be matted or not and should be separated with interleaving tissue. A cover photo is chosen to best represent the photographer's work. Travel Photography: A photographer searching for a job or freelance work in travel photography will build and present a portfolio of location and adventure photographs oriented toward magazine layouts and website presentation. This job hunter's audience might be a photo editor or web site designer. Fine Art Photography: A photography degree graduate pursuing a career in fine art photography builds a portfolio exhibiting his or her creative vision and mastery of techniques to be presented to an audience of gallery owners and art magazine or journal (online or print) editors. Commercial Art Photography: Someone specializing in commercial art builds a portfolio exhibiting clear and effective marketing images to present to corporate marketing departments and advertising firms. A product marketing photograph wouldn't make sense in the portfolio of a fine art photographer any more than a travel photograph represents the work of a portrait photographer. Standard portfolios are printed images, but digital portfolios are very practical as well. Digital portfolios can be easily and quickly shown to a number of people and potential employers in remote locations. A digital portfolio can be a series of files or a Power Point presentation of works in digital form. The disadvantage of a digital portfolio is that it does not show the photographer's skill in producing a printed image. Resumes might also include reference to any web-based examples of the photographer's work. A resume should be available in print and digital formats. Resumes should be printed on a quality paper. Pale, solid colors should be chosen when pursuing traditional jobs. White and off-white resumes are classic. Photographers pursuing more creative positions might consider a less traditional paper, but should not sacrifice the quality and readability of the information on the page. A bright page would certainly draw attention but might distract from the information. Appropriate educational experience listed on a resume includes a photography degree, as well as professional seminars and workshops. If educational background is the least compelling part of a photographer's resume, it’s fine to place it at the bottom of the resume, rather than its traditional position at the top following contact information. In lieu of educational background, or in addition, photographers might include a section delineating their knowledge and skill set. Include proficiency in computer programs such as Photoshop and Illustrator, experience with different cameras and formats, knowledge of lighting, and any specific business or client skills that should be highlighted. The resume work experience should include specific positions held, as well as internships and apprenticeships. Ideally, only positions related to photography should be included, although positions in related fields are pertinent, if space allows. Work experience may also include projects that demonstrate certain skills or accomplishments. Experience listings include a position title, employer, sentences or bullets outlining duties performed, and a sentence or bullets identifying accomplishments. The employer spot should read Freelance for any projects-for-hire. Photographers applying for a position with a studio or with a company are expected to interview for the position. Freelance photographers pursuing a contract might also be expected to interview for the contract. During an interview, photographers meet with one or more people from the potential employer to discuss their work and what they can bring to the job. Some photography degree programs offer business courses to help applicants prepare for the interview process and negotiate terms of a contract or job. Photographers' first interviews may be at the end of the photography degree program when they first leave school for full-time employment. Photography schools may offer career counseling to match students with potential employers, offer a setting for the interview, and help students prepare for the process. Photographers should be aggressive in pursuing a number of interviews, as the competition for some positions will be significant. Potential job opportunities may be identified through the photography school's career office, through internships, and through professional contacts. Jobs and contracts might also be identified through online resources, including employment web sites. Additionally, professional associations offer the opportunity to network and provide notice of job opportunities. In a sense, photography degree students prepare throughout their education for their first interview. The entire process leads to the production of the all-important portfolio, a critical resource during the interview process. The preparation for each individual interview is the same whether leaving school or changing jobs. Photographers should research the company and photographer(s) with whom they will meet. Learn as much as possible about the company's style and needs. Become familiar with the photographer's background and work. Wear professional dress even for a company whose style might be more casual. Be well groomed. When meeting an interviewer, offer a firm handshake. The interviewer will lead the discussion to answer for themselves three important questions: Is this photographer able to fulfill the responsibilities of the job? Do I want to work with this photographer? Is this the very best available photographer for the job? The interviewee's job is, in a friendly and cooperative manner, to expose their skills and artistic style. Photographers should bring their portfolio to show their potential employer. A portfolio is the best way to show an employer what you can do and the work you can do for them. At the end of the interview, photographers should be clear if they are interested in the position and should express their interest. Consider modifying the portfolio for each interview or contract. Freelance photographers pursuing advertising work, for example, will want their portfolio to reflect their product work. When pursuing editorial portrait work, photographers will want their portfolio to reflect their best work in that area. Photographers should use professional contacts and online resources to identify opportunities. They should submit a formal application or send a professional email requesting a meeting to discuss the opening. Photographers should offer their resume and portfolio for the employer's consideration. After an interview, follow up with an email or handwritten note expressing interest in the opening, and add any additional skills or qualities you wish to emphasize to the employer. Employers need to assess a photographer's technical skills, creative ability, and personality to determine the photographer's match for their open position or open contract. They initially gather that information from the photographer's job application, resume, portfolio, and interview. The final piece comes from speaking with the photographer's peers and past employers. Employers, whether for traditional work or freelance contracts, want to check whether their impressions are correct and find out what potential hires are like to work with from someone who knows. The best and first reference for a photographer is his or her photographs. Quality work that shows technical skill and creative ability tells potential employers much of what they need to know to make a hiring decision. Consider tailoring a portfolio to the needs of the position, offering images that best relate to the job. Employers look for skills beyond what they can gather from photographs. For example, what is the photographer's process? How does the photographer relate to portrait subjects and other team members? How confidently can the photographer accomplish the task at hand? Photography degree graduates should be able to offer potential employers the names of two people familiar with their work. 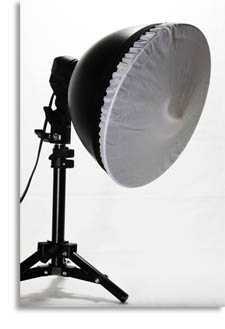 Ideal references will be professional photographers or employers familiar with the photographer's work. References from the photography degree program should be a second choice, not a first choice. Offer references that best relate to the job at hand. For instance, if the position is photo editor, references should be able to speak to photographic ability, ability to critique work, ability to work well as part of a team, and organizational and detail skills. For an underwater photography job, photographers should choose references that can speak to diving ability and ability to meet deadlines, as well as the quality of produced images. Photographers should notify colleagues and employers that they are listing their name as a reference so that references will be prepared to answer questions. Internships are an important way for photography degree students to gain valuable experience, explore a photographic specialty, and make contacts in the field. Internships in photography and journalism are commonly available. Photography degree programs offer students a list of available internships. Program information is also available online. Internships require some technical knowledge and process knowledge in addition to enrollment in a photography degree program. Photography internships may be paid or unpaid. They may be offered during the school year or during the summer. Many internships expect prior knowledge of common photographic computer programs, including Photoshop, Bridge, and iViewMediaPro. Because of legal restrictions on unpaid internships, internships will be paid or for college credit. For example, the New York Times offers a 10-week summer internship for students interested in a journalism career. This paid internship offers experience in reporting and visual journalism. The Visual journalism internship offers experience in photography, graphics, and art and page design. Seattle's Woodland Park offers an unpaid digital photography internship to students pursuing a photography degree. This internship offers experience shooting assignments and assisting the zoo's photographer to supplement and maintain the zoo's collection of photographs. Photographs may be used in zoo magazines, on the zoo website, or in advertising and presentations. National Geographic Traveler offers an academic internship during spring, summer, and fall semesters. Their photography intern learns magazine production, conducts photo research, and assists with visual office projects. Private studio photographers also offer internships. For example, John Harrington Photography in Washington, D.C., offers internships to photography degree students. This internship offers significant business experience in addition to photographic work. Ed Carreon Photography in Los Angeles, California, offers internships to local photography degree students to learn about professional editorial commercial photography. While internships can be identified through school and internet resources, internship companies such as Summer Internships and Simply Hired also provide opportunities and academic credit for a semester-long internship experience. Whereas self-identified internship experiences may or may not compensate a photography intern, internships through matching companies require a photographer to pay for the internship. The Ed2010 website, specializing in the magazine industry, is a good resource for available photography and editorial internships and does not charge a fee.